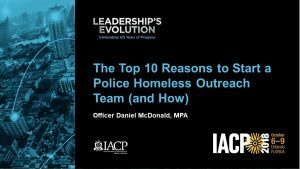 Would your police department like to reduce homelessness and rough sleeping, save money, lower arrest rates and reduce litigation? 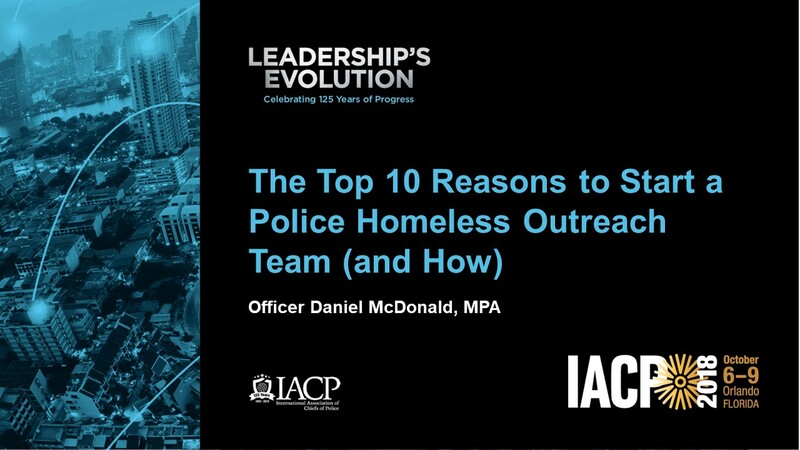 Come and see “The Top 10 Reasons to Start a Police Homeless Outreach Team (and How)” at the International Association of Chiefs of Police conference in Orlando, FL on Saturday, October 6, 2018 at 10:00 AM. Click here for details.